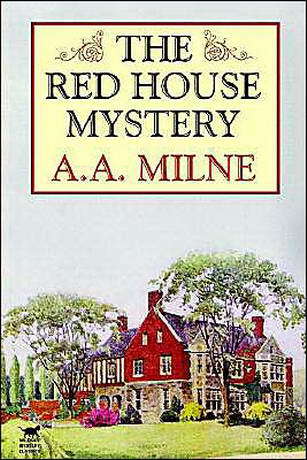 The Red House Mystery by A.A. Milne. Most people know A.A. Milne as the creator of the beloved children’s story Winnie the Pooh, but Milne published mystery stories before he created Christopher Robin, the Hundred Acre Wood and the ubiquitous Pooh himself. The Red House Mystery, published in 1922, is typical of the Golden Age of British mysteries and is heavy on old school chums, amateur detectives, a “locked room” mystery, and a mysterious disowned relative who returns from a long banishment to Australia. The story begins with the murder of Robert Ablett, prodigal brother of Mark Ablett, country house squire and frequent house party host. The murder occurs during a house party and draws in household staff, a paradoxical cousin, and the aforementioned amateur detective who just happens upon the scene. There are secret passages, missing guns, a vanished suspect, and gossiping housemaids – all the necessary elements of a 1920s mystery. The major flaw here is that there are too many characters who all sound alike, making it hard to follow the plot. I found the story to be overly wordy and way too long, with most of the action concentrated on the Ablett estate. I found myself skimming over multiple pages at a time looking for some action and finding little. I normally enjoy Golden Age mysteries, but this one left me cold.